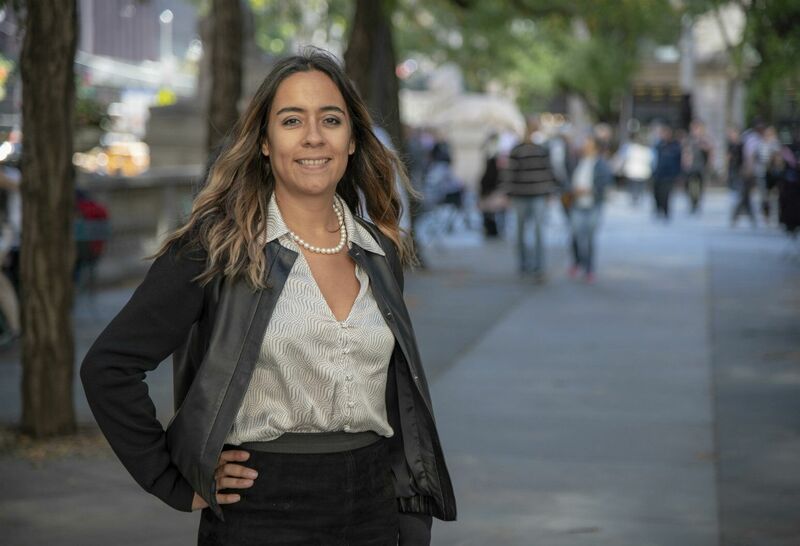 Growing worrisome as each mass was removed from her breast, Liliana Uruburo found comprehensive care from Lenox Hill's new BRCA Center to put her mind at ease. Liliana Uruburo, of Queens, discovered her first breast lump when she was only 15 years old. Fortunately, the lump was benign. But over the years, she’s had eight more masses taken out. “With each lump that came along, my fear of having a cancer diagnosis got worse,” she said. A mass found in Liliana’s left breast in 2016 turned out to be a growth called a lobular carcinoma in situ, or LCIS. While LCIS is noninvasive, its presence indicates a patient being at risk of developing breast cancer. Ms. Uruburo was also found to have atypical ductal hyperplasia of the right breast, a precancerous condition that affects breast cell growth. Shortly after these diagnoses, Ms. Uruburo saw several doctors at Lenox Hill Hospital, including a breast surgeon, a cosmetic and reconstructive surgeon, and a fertility specialist, all of whom now work at the hospital’s new BRCA Center. These specialists worked together to create a personalized treatment plan for Ms. Uruburo, now 43, to reduce her risk of breast cancer. She ultimately decided on a prophylactic bilateral mastectomy, or the surgical removal of both breasts, to prevent cancer. At the same time, she underwent breast reconstruction surgery with a “DIEP” flap, which is a highly advanced form of breast reconstruction utilizing tissue from her belly area and minimizing post-op pain and recovery time. This inspiring story appeared in Look North, a health and wellness magazine from Lenox Hill Hospital. It’s a great idea to create a comprehensive center like this. Having all these doctors work together made me more confident in my care and recovery. The overall goal of the BRCA Center is to have a “one-stop shop” for patients at high risk of developing breast cancer, said Oren Lerman, MD, a plastic surgeon who specializes in breast reconstruction and microsurgery. This includes women with the BRCA mutation or numerous other mutations. The center can test patients who might be genetically susceptible to breast cancer. It also includes women with a strong family history of breast cancer, or those who have developed growths such as LCIS that put them at high risk for developing breast cancer in the future. Call (212) 343-2011 for more information.